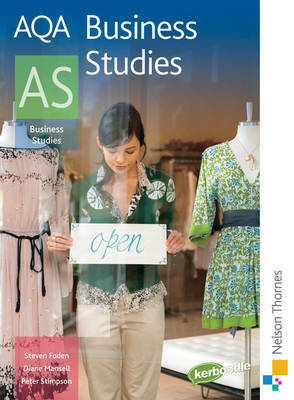 With a range of truly blended resources, AQA Business Studies offers complete coverage and support through a variety of printed and electronic media. Nelson Thornes have produced resources that will give students and teachers all they need to work through the specification with complete confidence. Learning Objectives, clearly referenced to the related statements in the AQA specification, let students know exactly what they'll need to learn and understand in that topic. Case Studies at the start of each topic set the scene and contextualise the concepts / theory Study tips provide essential advice on common errors and exam preparation. Summary questions promote independent learning and develop students' exam techniques through practice, preparation and study tips.